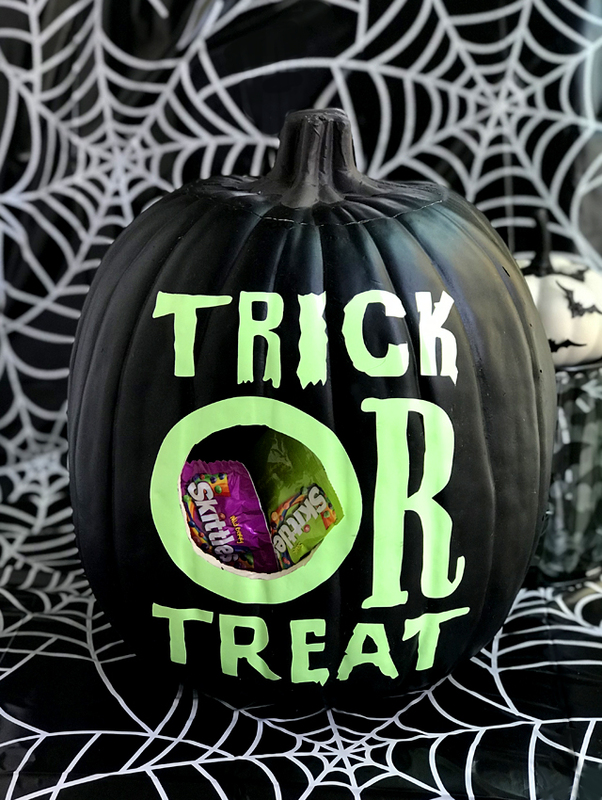 Make this glow in the dark pumpkin to hold candy for your trick-or-treaters on Halloween! 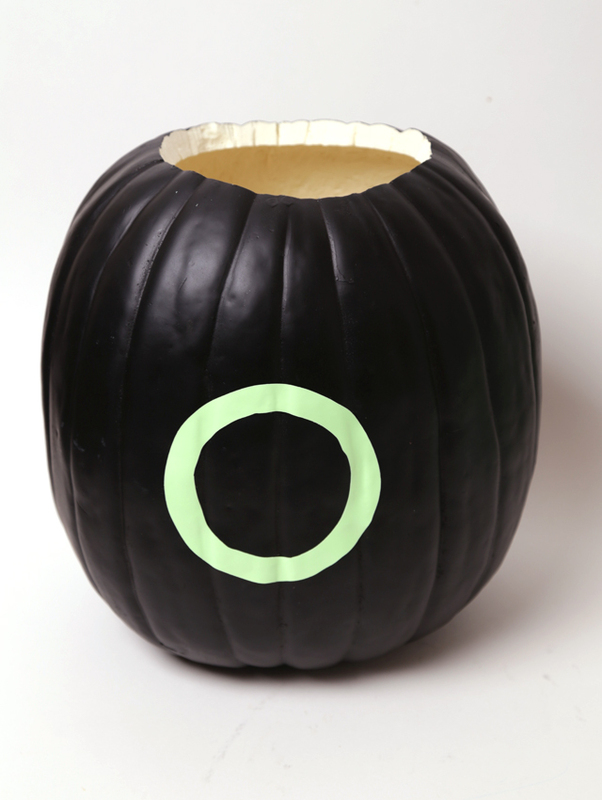 This glowing pumpkin DIY is simple to create using glow in the dark vinyl and a black craft pumpkin. It’s a spooky addition to your Halloween front porch or Halloween party! 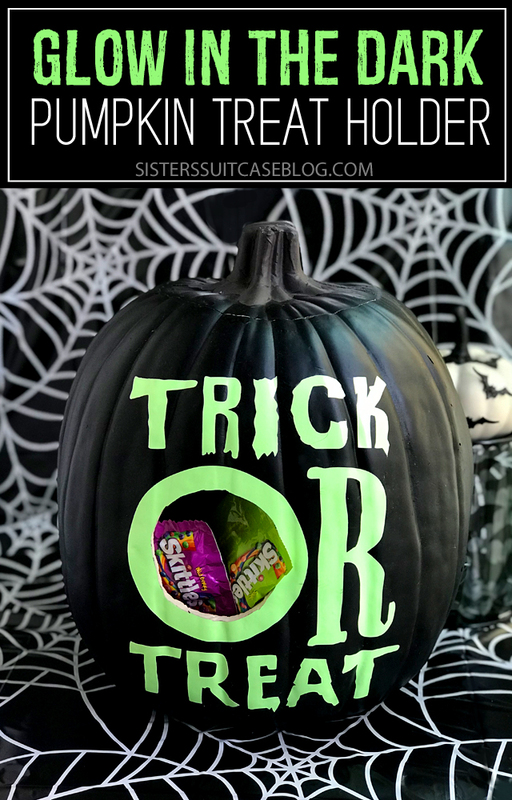 This glow in the dark pumpkin is a great Halloween craft you can finish in an afternoon, and your kids will love it. What is it about turning off the lights and seeing something glow that gets little ones so excited? It’s just a universal truth! 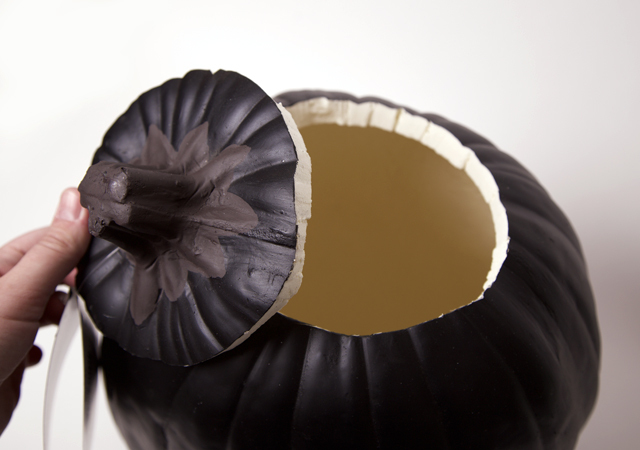 Then when you fill it with candy, you will up the cool factor of this DIY pumpkin even more! 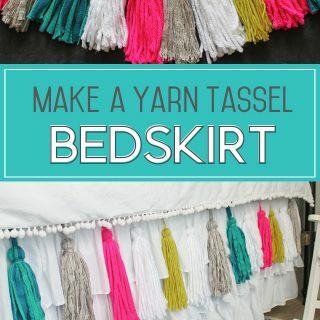 This is one of our favorite Halloween DIY projects, and it is so simple to make! These foam pumpkins are surprisingly easy to work with! I just used a small sharp knife (non-serrated blade) to cut a hole in the top for easily adding candy. 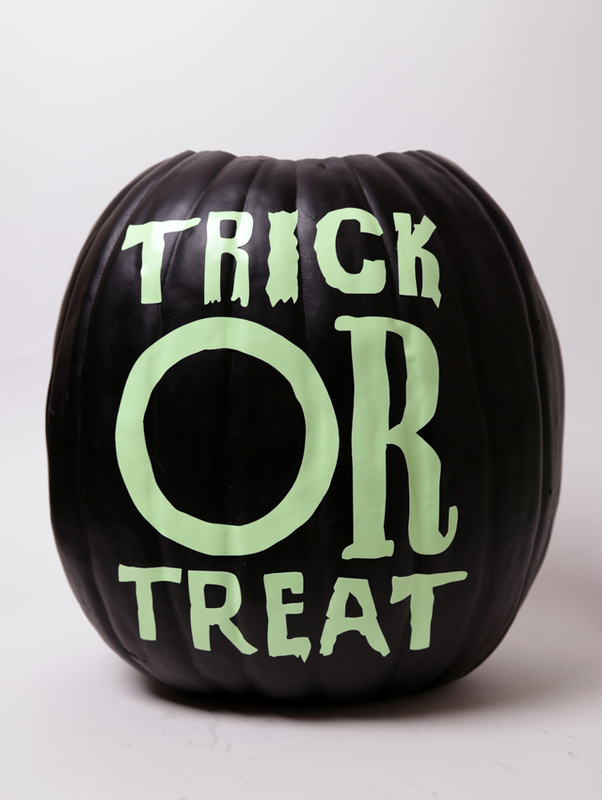 Just like real pumpkins, make sure to cut at a slight angle so the lid doesn’t fall in! This vinyl is extra thick and because of the texture and curve of the pumpkin + the font, I opted to not use transfer tape and place each letter by hand. 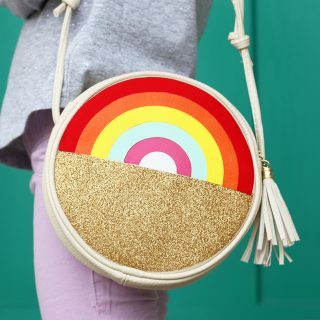 I would not recommend doing that with thinner vinyl (but glitter or textured vinyl could work) or small letters/designs. 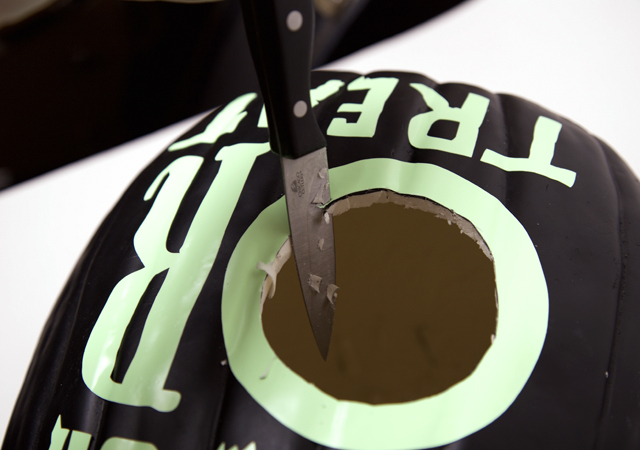 Once all the vinyl is applied, it’s easy to follow around the inside of the “O” with the knife to cut out a place for little hands to grab their treats! 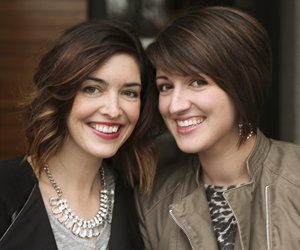 We would love for you to PIN this project for later, and let us know if you try it out!